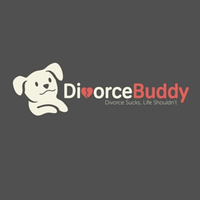 DivorceBuddy presents the Kid’s First Divorce podcast. Kid’s First is focused on children of divorce and always addressing and putting their needs first. Our professional guests primarily will include divorce mediators, divorce coaches, divorce attorneys, life coaches, psychotherapists, child psychologists, and collaborative law attorneys. We stress collaborative law and divorce mediation practices, as well as staying out of court during the divorce process. Topics may include: child support, child visitation, custody, helping children adjust psychologically during and after divorce, keeping the peace and getting along with your ex during and after divorce, reducing conflict and dealing with borderline personality disorder and narcissistic personality disorder ex's, parental alienation, blended families, dating after divorce and helping your kids adjust to this, co-parenting, parenting plans, holidays, etc. The ultimate goal of DivorceBuddy is transforming how people divorce by helping them stay focused on the needs of the children of divorce first and foremost. We want to encourage and help facilitate collaborative law and mediation practices that can take place entirely OUTSIDE the court room in a non-litigious environment. We strongly believe divorce should first be approached from a therapeutic and transformational family focus.